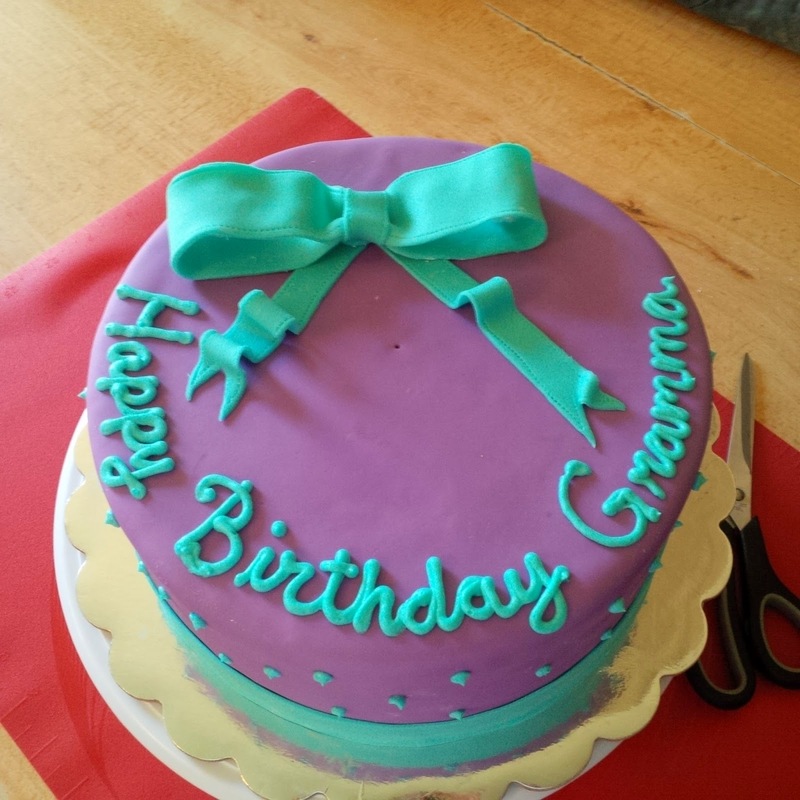 I've been wanting to try out some techiques such as the checkerboard cake and the fondant bow and when my mom asked me to make a cake for my Grandmothers birthday, I thought it was the perfect opportunity! 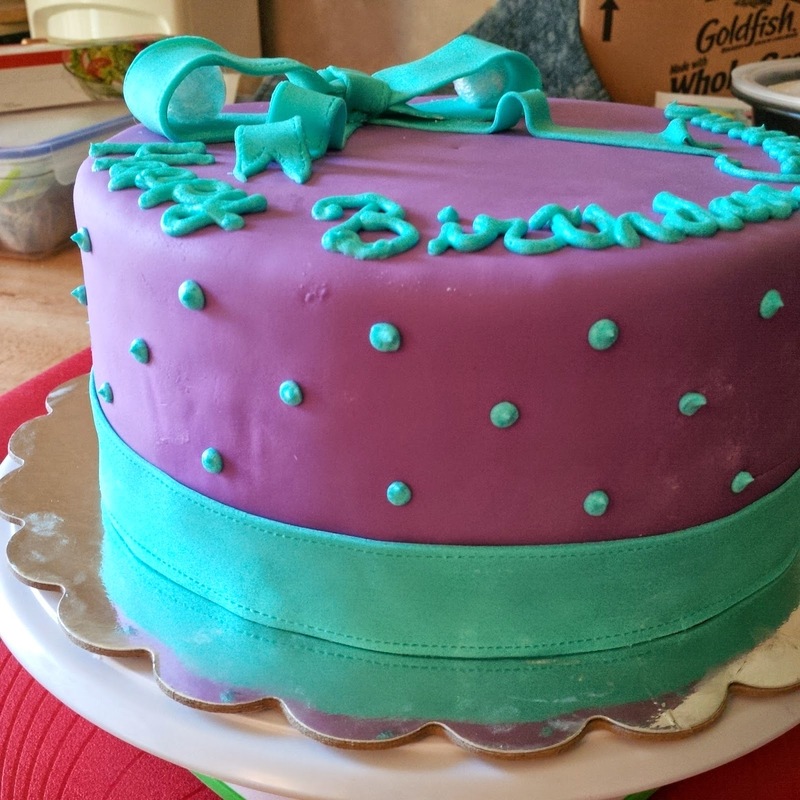 This cake was made to celebrade a Happy Birthday! Size: This cake was made out of 4 9 inch cake pans stacked ontop of each other. Taste: This was a vanilla cake batter, tinted different colours. 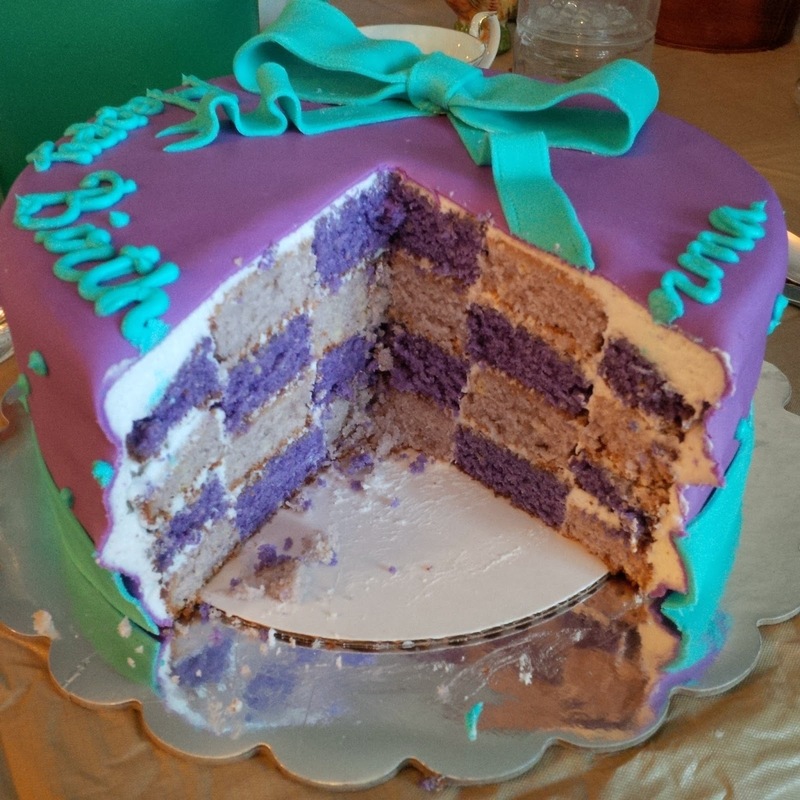 Filling: There is homemade vanilla buttercream between all the layers and under the fondant. Decorations: This cake was decorated with homemade mashmallow fondant and the writing was done in homemade vanilla buttercream.